↑ Feldstein, Y. I. (2011). "A Quarter Century with the Auroral Oval". EOS. 67 (40): 761. Bibcode:1986EOSTr..67..761F. doi:10.1029/EO067i040p00761-02. ↑ Bruzek, A.; Durrant, C. J. (2012-12-06). Illustrated Glossary for Solar and Solar-Terrestrial Physics (in ଇଂରାଜୀ). Springer Science & Business Media. ISBN 9789401012454. ↑ Siscoe, G. L. (1986). "An historical footnote on the origin of 'aurora borealis'". History of Geophysics: Volume 2. History of Geophysics. 2. p. 11. Bibcode:1986HGeo....2...11S. doi:10.1029/HG002p0011. ISBN 0-87590-276-6. ↑ "What's up in space: Auroras Underfoot". SpaceWeather.com. Archived from the original on 17 July 2011. Retrieved 26 July 2011. ↑ ୧୯.୦ ୧୯.୧ "NASA's MAVEN Orbiter Detects Ultraviolet Aurora on Mars | Space Exploration | Sci-News.com". sci-news.com. Retrieved 16 August 2015. ↑ Macleod, Explorers: Great Tales of Adventure and Endurance, p.21. ↑ Clarke, J.,Physical Science in the time of Nero p.39-41, London, Macmillan, (1910), accessed online on 1 January 2017. ↑ Bostock, J. and Riley, H.T., The Natural History of Pliny: Volume II, London, Bohn (1855), accessed online at , on 1 January 2017. ↑ Hamacher, D.W. (2013). 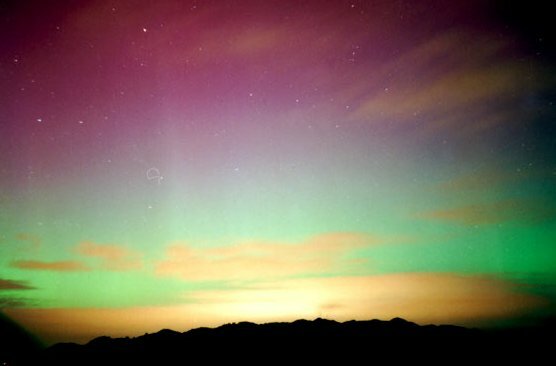 "Aurorae in Australian Aboriginal Traditions" (PDF). Journal of Astronomical History and Heritage. 16 (2): 207–219. arXiv:1309.3367. Bibcode:2013JAHH...16..207H. ↑ Goodman, N. (ed.) (1931), The Ingenious Dr Franklin, p.2, Philadelphia: University of Pennsylvania Press. ↑ J. Oschman (2016), Energy Medicine: The Scientific Basis (Elsevier, Edinburgh) p. 275. ↑ ୪୦.୦ ୪୦.୧ "ESA Portal – Mars Express discovers auroras on Mars". Esa.int. 11 August 2004. Retrieved 5 August 2010.